Our brochure provides basic information to help you get started with composting at home. 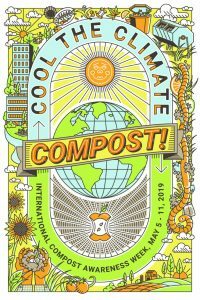 Think Composting is a program intended for use by educators to enhance organics recycling and composting lessons. Originally published by Hall County Resource Recovery, it has been printed and distributed for many years by the Georgia Recycling Coalition. It is offered online now and may be freely copied for educational purposes. See the report entitled Beyond Recycling: Composting Food Scraps & Soiled Paper prepared for EPA Region 9 by the Center for a Competitive Waste Industry.